RICHMOND - Governor Terry McAuliffe today signed Executive Order 28 establishing the Commission to Ensure Integrity and Public Confidence in State Government. The executive order identifies the broad priorities of the Governor in his pursuit of a better state government, including meaningful rules for the ethical conduct of state officials, procedures for ensuring accountability to the electorate, and policies guiding the selection and service of high quality public servants. The order asks the new 10-member commission to provide the Governor with recommendations in December 2014 on ethics laws and policies with the goal of pursuing legislation during the Virginia General Assembly’s 2015 session. The commission will continue to meet in 2015 in order to study and make recommendations on other good government topics, including campaign finance, the selection and service of judges and other public officials, and gubernatorial terms. The appointees were selected based on their knowledge of government operations and the history of the issues they will examine. Former U.S. Representative Rick Boucher and former Lieutenant Governor Bill Bolling have agreed to serve as co-chairmen of the commission. "I'm honored that the Governor has asked me to join with my friend, former Lt. Gov. Bill Bolling, and other members of the commission in recommending a set of reforms for Virginia's ethics laws,” Boucher said. “I'm impressed with the quality of the other members of the commission, who are distinguished and widely respected on a bipartisan basis. Our goal will be to draft a set of legislative recommendations that will enjoy the bipartisan support of members of the commission and are broadly reflective of the public's view that strengthening of Virginia's laws governing official ethics is necessary. I very much look forward to the work we have before us." Co-chairman Rick Boucher, of Abingdon, is a Partner at the law firm Sidley Austin, LLP. He served in the Senate of Virginia for seven years and 28 years in the U.S. House of Representatives. During his congressional tenure, Boucher served on both the House Energy and Commerce Committee and the Judiciary Committee, chairing the subcommittees on energy and air quality; and communications, technology and the Internet. He carved out a role as a trusted bipartisan leader on critical issues including telecommunications and Internet policy. Co-chairman Bill Bolling, of Hanover, is the Managing Director – Virginia Operations for Riggs, Counselman, Michaels & Downes, one of the largest independent insurance companies in the country. He spent 24 years in local and state elected office, including four years as a member and Chairman of Hanover Board of Supervisors, ten years in the Senate of Virginia and eight years as Lieutenant Governor of Virginia. During his public service, he earned a reputation as a consensus building lawmaker and leader in economic development, health care and open government issues. He is Chairman of the Virginia Mainstream Project. Viola Baskerville, of Richmond, is the Chief Executive Officer of Girl Scouts of the Commonwealth of Virginia. Her previous career in politics began as a member of the Richmond City Council, including a period as vice mayor. She served four terms as a member of the House of Delegates and sponsored legislation providing scholarships for African-American students in Prince Edward County who were denied an education when its schools were closed. Gov. Tim Kaine later tapped her to be his Secretary of Administration, a job overseeing nine state agencies. Sharon Bulova, of Fairfax, is chairman of the Fairfax County Board of Supervisors, a post she has held since February 2009. She previously served as the Braddock District Supervisor from 1988 until 2009. She has been a champion for regionalism as a member and past chairman of the Northern Virginia Regional Commission. Bulova also founded Faith Communities in Action, a countywide network which enables faith communities and charitable non-profit organizations to work in partnership with local government to better respond to the needs of the community. John T. Casteen III, of Keswick, is University Professor and President Emeritus at the University of Virginia. During his tenure as president of the University from 1990 to 2010, he increased the number of students and faculty members, expanded international programs for research, and bolstered the University’s endowments and its stature nationally. He served as Virginia’s Secretary of Education from 1982 to 1985. Among his many honors and recognitions is the creation of the John T. Casteen III Faculty Fellowship in Ethics awarded to University faculty members. Christopher Howard, of Hampden Sydney, is President of Hampden-Sydney College and one of the youngest college presidents in the United States. Howard previously served as Vice President for Leadership & Strategic Initiatives at the University of Oklahoma, where he also was the Director of the Honors College Leadership Center. He is a founder, former chairman and current trustee of the Impact Young Lives Foundation, a nonprofit organization that provides scholarship and travel opportunities for South African university students of color. During his tenure, Hampden-Sydney College has twice been named champion in the Virginia Foundation for Independent Colleges Ethics Bowl and twice been runner-up. Susan A. Magill, of Alexandria, is Vice President for Advancement at George Washington’s Mount Vernon. Previously, she served as Managing Director of Philanthropic Services and Government Relations for the Pew Charitable Trust, and Chief of Staff to Senator John Warner for over 20 years. She has served on the Board of Visitors of William & Mary College and was the second woman elected as Rector of the college’s governing body. In 2008, she was honored by VCU with its Lifetime Achievement Award for excellence in government. Courtney M. Malveaux, of Henrico County, is a business attorney at ThompsonMcMullan. Previously, he served as Commissioner of Virginia’s Department of Labor and Industry and is the Immediate Past President of the National Association of Government Labor Officials. He is a former Assistant Attorney General and a former Deputy Counsel to the Attorney General of Virginia. As a former Associate Solicitor General, he assisted in developing appellate arguments and briefs before a variety of state and federal appellate courts up to the Supreme Court of the United States. Joe T. May, of Loudoun County, is Chairman of the Board and Chief Technologist for EIT, LLC. Previously, he served in the Virginia House of Delegates for 20 years, including six years as Chairman of the Transportation Committee. During his tenure in the House, he earned a reputation as thoughtful and effective legislator. An engineer by trade, he holds over 20 patents in the fields of electrical and electronic engineering. John Sherman, Jr., of Richmond, is former President and CEO of BB&T Scott & Stringfellow, Inc. He has a long record of public service and civic engagement in the Metro Richmond community. He received the 2005 Verizon Arête Award from Leadership Metro Richmond, and in 2011 he received the Edward Wayne Medal from Virginia Commonwealth University. He has served as chairman of the Greater Richmond Chamber of Commerce, Chairman of the United Way campaign, and Chairman of the Management Roundtable. Currently, he serves on the boards of Albemarle Corporation, Virginia Commonwealth University Health System, and the VCU School of Engineering Foundation. The fundamental strength of Virginia’s government derives from an engaged citizenry and the utmost dedication from its public servants. Ethical and effective governance requires elected and appointed officers to take every appropriate action for the proper use of public resources and transparency in public endeavors. My administration is committed to identifying the highest standards for comprehensive governmental reform. Virginia’s reputation as one of the outstanding states for business depends upon trusted institutions, public confidence in government, and principled leadership in the Commonwealth. To forge an ethos of trust, it is crucial to continually review operational procedures and systems to ensure that the Commonwealth accountability and efficiency. §§ 2.2-134 and 2.2-135 of the Code of Virginia, and subject to my continuing and ultimate authority and responsibility, I hereby establish the Governor’s Commission on Integrity and Public Confidence in State Government (“Commission”). · The benefits of a more independent Ethics Commission for oversight of conflicts of interest matters. · A cap or ban on gifts for legislators, including “intangible” gifts of meals and travel. · Rules regarding personal loans, or any loans other than those from commercial financial institutions at rates available to the general public, to legislators and their family members from personal friends or business associates. · Rules regarding grants, deliberations, or decisions by members of public boards and commissions that could provide a direct financial benefit to such members, members’ family, personal friends, or close business associates. · Rules regarding post-governmental employment and an appropriate waiting period prior to beginning such employment. · Policies regarding lawyer-legislators representing clients before state agencies during their term in office. · Rules related to legislators holding executive branch employment during their term in office. 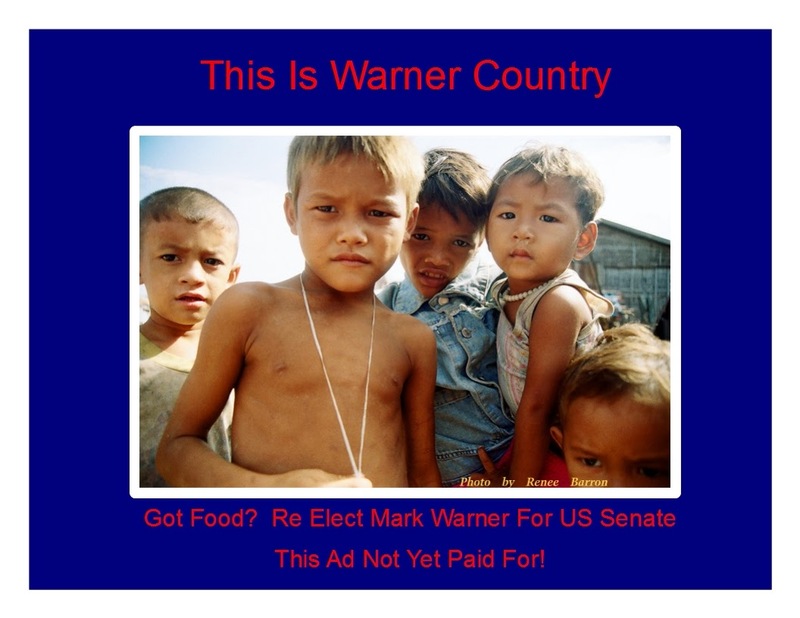 · Rules related to the amount of contributions to campaigns by individuals, corporations, PACs, lobbyists, and others. · Rules regarding campaign contributions during special sessions of the General Assembly. · Policies on the personal use of candidate campaign funds. · The disclosure of independent expenditures and advertising in support of or opposition to political candidates prior to an election. · Independent investigation and audit of campaign disclosures. · Independent administration and audit of lobbyist disclosure forms. · Procedures for improving the selection of judges and other candidates for public service. · Frequency of gubernatorial transitions and the impact on providing services to citizens as well as the daily operations of executive branch agencies. · Procedures for legislative and congressional redistricting. · Alterations in the state budget cycle as it relates to gubernatorial terms. The Commission may, at its discretion or the discretion of the Governor, examine other issues consistent with the purposes of this Executive Order. Former Congressman Rick Boucher and former Lieutenant Governor Bill Bolling will serve as Co-Chairs of the Commission. The Commission will be comprised of no more than ten (10) members appointed by the Governor and will serve at his pleasure. The Governor may appoint additional persons to the Commission at his discretion. Staff support as necessary to support the Commission will be furnished by the Office of the Governor, and the Governor may designate further support by any other executive branch agencies. An estimated 300 hours of staff time will be required to support the work of the Commission. The Commission may consult with any experts it deems necessary for the requisite information to provide a full and complete report. Funding needed to support the Commission will be provided by state and other appropriate funds. Direct costs for this Commission are estimated at no more than $15,000. Members of the Commission will serve without compensation, but may receive reimbursement for expenses incurred in the discharge of their official duties. The Commission will meet at least once monthly upon the call of the Co-Chairs beginning in October, 2014. The Commission will present an interim report pertaining to comprehensive government ethics reform to the Governor on or before December 1, 2014. The Commission will also issue other reports and recommendations as it deems necessary or as requested by the Governor. Given under my hand and under the Seal of the Commonwealth of Virginia, this 25th day of September, 2014.